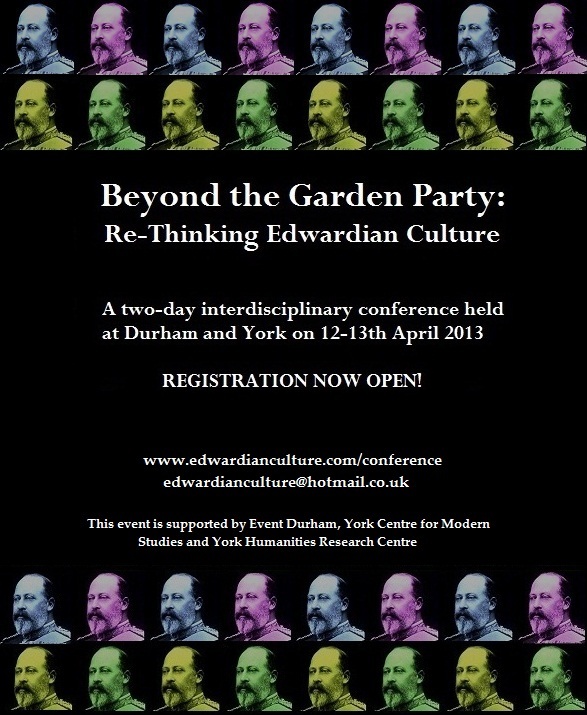 As you are no doubt aware, registration is now open for our inaugural conference ‘Beyond the Garden Party: Re-thinking Edwardian Culture’ – and costs only £10 (something of a bargain, we think, for two days’ worth of exciting Edwardian scholarship). The image above is our conference poster: please feel free to download and distribute! More information on the conference will follow shortly. This entry was posted in Events and tagged edwardian conference, edwardian culture. Bookmark the permalink.